These are some of my top beauty picks from skincare to fragrances to indulge in this Valentine's Day, from KORRES, Image Skincare and Caswell-Massey. 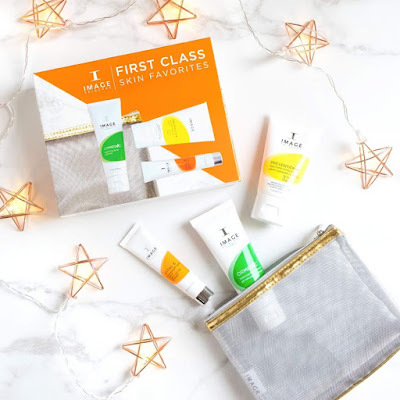 KORRES Greek Beauty Sleep set ($24) is a brightening Vitamin C duo improves the appearance of uneven skin tone and texture for brightening and hydration. 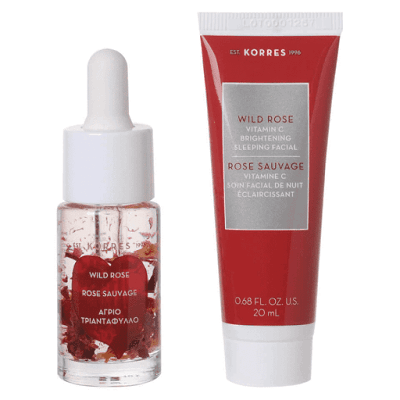 I love the scent of the Wild Rose Vitamin C Active Brightening Oil, which is infused with real rose petals and boosted with Super Vitamin C. The Wild Rose oil locks in moisture and boosts radiance when you apply it after applying your cleanser and serum in the morning, or you can also mix a few drops into your foundation for a hydrating, dewy glow. At night you can layer it under the Wild Rose Sleeping Facial, for added moisture, brightening and anti-aging benefits. 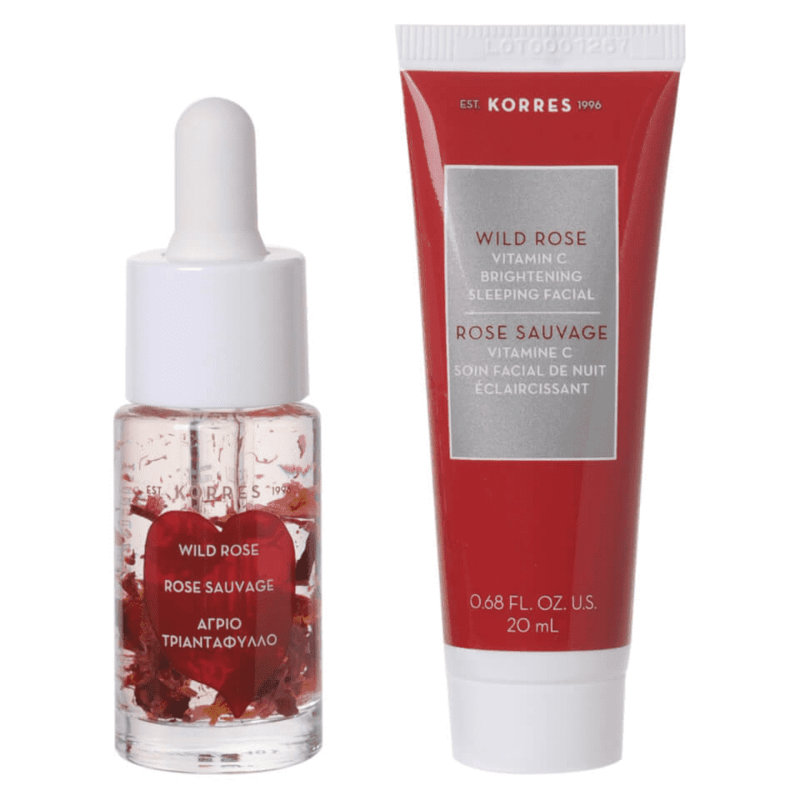 The Wild Rose Vitamin C Brightening Sleeping Facial should be applied at night right after you wash your face. This night cream is lightweight and makes your skin feel super soft and moisturized the next morning. Image Skincare First Class Skin Favorites ($45) is the perfect set to pack, with travel-friendly ORMEDIC® balancing facial cleansing gel with aloe leaf juice and green tea, VITAL C hydrating anti-aging serum that brightens the skin and softens the appearance of wrinkles and supports skin elasticity, and PREVENTION+® daily matte moisturizer SPF 32 for broad-spectrum UVA/UVB sun protection with micro-sponge technology that absorbs surface oils for a flawless, shine free finish - all in a silver reusable clutch! 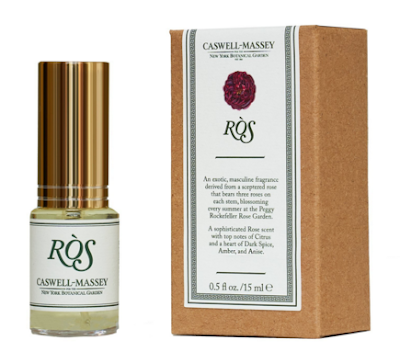 Caswell-Massey collection in collaboration with New York Botanical Garden includes fragrances, hand creams and bar soaps. Since I like masculine unisex fragrances, one of my favorite scents in the collection is RÒS, developed with the Master Gardeners at the New York Botanical Garden and Senior Perfumer Laurent Le Guernec from a living floral 'Scepter'd' Rose' that bears three roses on each stem, blossoming throughout the summer in the southeast promenade of the Peggy Rockefeller Rose Garden at the New York Botanical Garden. This sophisticated scent with a masculine character bears top notes of Citrus and a heart of Dark Spice, Amber & Anise. Other fragrances in the collection include Beatrix, Gardenia, Honeysuckle and Lilac. Since the process of developing the scents is so unique, all of the fragrances smell very much like the actual flowers at the New York Botanical Garden! They really are the best smelling florals out there!